TPAC is a nonprofit organization dedicated to leading with excellence in the performing arts and arts education, creating meaningful and relevant experiences to enrich lives, strengthen communities, and support economic vitality. Will Family Feud LIVE: Celebrity Edition be a future episode of the TV Game Show? No, this show will not be recorded for television. Who will be the host? The host for Family Feud Live: Celebrity Edition will be Alonzo Bodden (Last Comic Standing). Host subject to change. Who are the celebrity guests for Family Feud LIVE: Celebrity Edition? The Celebrity guest are Grocery Store Joe (Bachelor In Paradise) and Cathy Rigby (Olympic Gymnast). Celebrities subject to change. Prizes vary from show to show so no prize list is available. Registration takes place day of show, prior to each performance. Beginning 3 hours before showtime, each eligible person who would like the opportunity to be selected to play will provide their first and last name, Date of Birth and state to producers via registration cards which are given to eligible patrons by Venue staff. There is no ticket purchase required to register to be a contestant, and will not be considered a factor in determining eligible contestants or in the contestant selection process. Registration closes 15 minutes prior to the scheduled showtime. Will I be able to register before the night of the show? Unfortunately not. All registration will open 3 hours prior to each show. Guests are encouraged to get there early to avoid lineups. Registration will remain open until the posted showtime. Will guests be able to register more than one person at a time? All contestants must register themselves. Guests will not be permitted to register additional people. By law, everyone who shows up and wants to register must be allowed to do so and have equal opportunity to be called down to be a contestant. If an individual registers and DOES NOT have a ticket to watch the show, they will be directed to a pre-determined location. All of the contestants for the show are chosen at random as soon as registration closes. The names of all eligible registrants will be weighted equally, that is, no advantage shall be given to individuals who purchased a ticket over individuals that did not. If an individual who did not purchase a ticket is selected as a contestant, that person will be escorted to an open seat in the venue. Individuals who did not purchase a ticket and were not selected may leave the theater after the random drawing. Do I need to be there 3 hours before the show in order to register? It is ideal to arrive early, up to 3 hours, to avoid lineups, but registration will stay open until the posted showtime. People may leave the theater after they have registered, but they must be present at the time of the drawing in order to be eligible. The random drawing to determine show contestants will take place backstage during a 20 minute time period beginning at the posted show time. All eligible contestants must be present at the time their name is called or they will be disqualified and another randomly selected name will be called. Eligible contestants who registered, but did not purchase a ticket will be informed in the waiting area in the first 20 minutes after the posted show time if they have been selected. standard release form, including a publicity release (where permitted by law), confirming compliance with the Official Rules. Ascend Amphitheater is located at 310 First Ave. S. Click here for directions and parking. All performances are rain-or-shine. In the event of severe weather, click here for updates. All bags will be searched upon entry. Lawn chairs higher than 9″ off the ground will not be allowed into the amphitheater. Low-back lawn chairs, blankets and stadium seating cushions are allowed. Click here for a complete list of items allowed into the amphitheater. 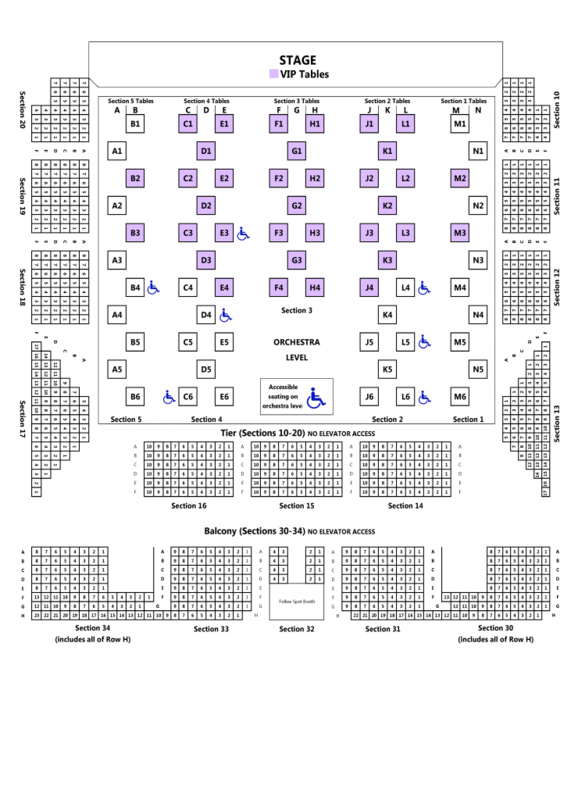 Click here to view seating and accessibility information. Visit Ascend Amphitheater’s FAQ page for additional information, including concessions, camera policy, and box office info. Click here to view a list of venue policies. Preview the content of this show at the links below. If you have questions, please call TPAC Box Office at 615-782-4040.
Review: Is The Play That Goes Wrong Appropriate for Kids? Miss Saigon: The popular musical about doomed love in the last days of South Vietnam returns to Broadway. Will The Price Is Right LIVE be a future episode of the TV Game Show? There are a number of different hosts for The Price is Right Live! Tour. A host has not been confirmed at this time. Prizes vary from show to show so no prize list is available, however the type of prizes are very similar to what you see on television. After someone wins a prize a producer will ask them to return to the front of the stage after the show where all the necessary paperwork will be done for the prizing. This takes place immediately following the show. The amount of time it takes depends entirely on the number of winners in a show. What Does Limited View Mean? It means you’ll be unable to see the entire stage from those seats. 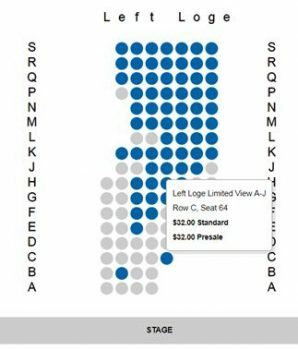 We sell these seats because for many fans the limited view is not a problem, and the tickets are clearly labeled at time of purchase (see photo below). Limited view seating varies event to event and could be something as small as a tiny corner of the stage being blocked from view. Please call our box office at 615-782-4040 for additional information on limited view seating.